Despite being rumored to be on the hot seat for much of the 2013 season, and even having his status somewhat up in the air after the season ended, reports are that the Dodgers have signed Mattingly to a contract extension through the 2016 season. Thanks to the large payroll and young talent that is currently suiting up for the Dodger blue, it seems like a good time to be the manager in the City of Angels. However, there is no lack of pressure to parlay that payroll into some postseason success. The Dodgers of 2013 made an incredible 2nd half run to an easy division title, but were bounced from the playoffs one round short of the World Series. While an NLCS appearance is nothing to sneeze at, the goals are clearly higher for this bunch. Nearly every manager in baseball must be privately jealous of the talent that has been assembled for Mattingly to work with. On the pitching side of the ledger, there is Clayton Kershaw, whose name speaks for itself at this point. To go along with Kershaw, the Dodgers can send Hyun-Jin Ryu, Zack Greinke, and Dan Haren to the mound as well. That is a list of starting pitchers that rivals any rotation in baseball, and makes for some long series when opposing teams arrive at Dodger Stadium. The lineup, for its part, isn’t lacking for star power either. Adrian Gonzalez, Hanley Ramirez, Yasiel Puig, Andre Ethier, Matt Kemp, and others combine to create one of the most formidable orders in the game. On paper, the Dodgers are a force to be reckoned with for years to come. Don Mattingly was a great player for the Yankees for more than a decade. With a lifetime batting average of over .300, and 222 career home runs, Mattingly has no lack of authority in the clubhouse. The one thing that Mattingly lacks, however, might be what the Dodgers need the most – playoff experience. Despite playing in parts of 14 seasons for the Yankees, Don Mattingly only once made the postseason, losing to the Mariners in the 1995 Divisional Series. He never played in the ALCS, and never reached the World Series. Is that going to present a problem in trying to take the Dodgers to the promised land? Only time will tell. Plenty of great managers never played in the World Series, so it may be a non-factor when all is said and done. 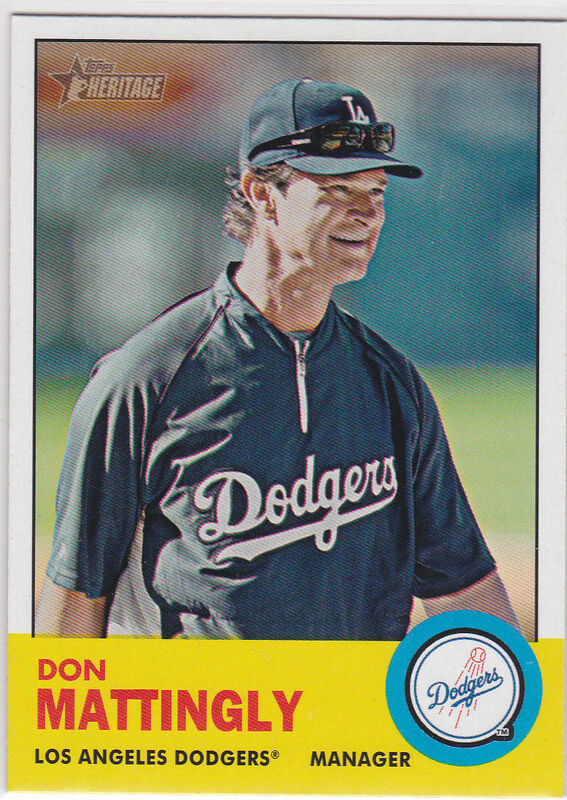 The presence of Don Mattingly in the dugout of the Los Angeles Dodgers is serving to introduce his name to a whole generation of baseball fans who never had the chance to see him play. A variety of great Don Mattingly collectibles can still be found on websites such as eBay, most with him dressed in the classic Yankee pinstripes, although a few items with Dodger blue are popping up from time to time. Given his sizable place in baseball history, a piece of Mattingly memorabilia should have a place in every baseball collection.